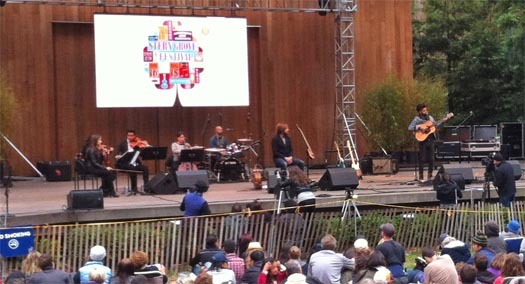 We are proud to have been a sponsor of the Stern Grove Festival once again for the 2013 season. The Stern Grove Festival is an admission-free performing arts series held at beautiful Sigmund Stern Grove, an outdoor amphitheater in San Francisco, where the spectacular setting and friendly atmosphere are as much a part of the experience as the world-class performers. Evan Kenward from our Marketing Department was lucky enough to attend several of this year’s performances, and captured the photos of the Stern Grove experience that you you might have seen on our Facebook, Twitter, and Instagram profiles. Below are some of Evan’s highlights from Stern Grove Festival Events. 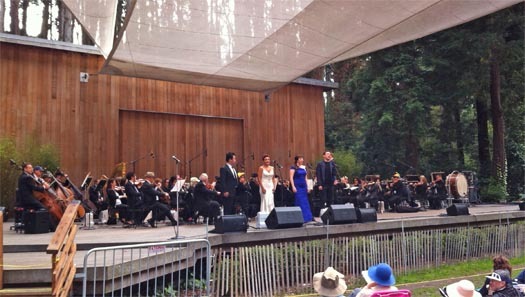 August 18 – The fog parted for a beautiful day at the opera in Stern Grove, as The San Francisco Opera brought some exceptional young talent, including Stephen Costello and Ailyn Perez to cap off another sensational season of The Stern Grove Festival. The sun paired perfectly with the exceptional talent and the flavor of Anchor Summer Beer. 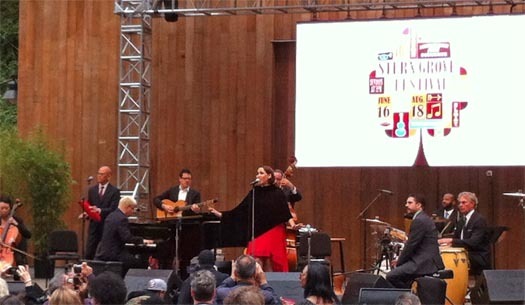 August 11 – Pink was the word at Stern Grove for La Santa Cecilia, and the venerable, Pink Martini. Their lavish aesthetic brought out the decadence in the crowd, which sported tuxes, illustrious picnic spreads, and of course, pink. Pink Martini’s sound ranges from all over the world, and commonly from past decades as far back as the early 1900’s. It was so refreshing to hear these classic sounds, and what better a way to enjoy them, then while drinking a classic beer? Good thing a cold Anchor Steam was always close by. 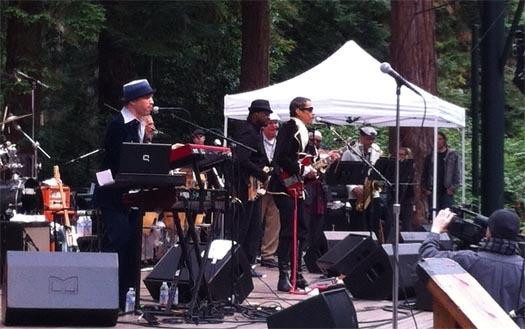 August 4 – Shuggie Otis and The Relatives took the stage today at Stern Grove for an afternoon of funk, soul and R&B. Everyone executed their parts in their own unique way. The Relatives brought a southern gospel flavor, Shuggie came out with his classic hits, and the Anchor beers did their job once again by supplementing those funky sounds with malty, hoppy perfection. 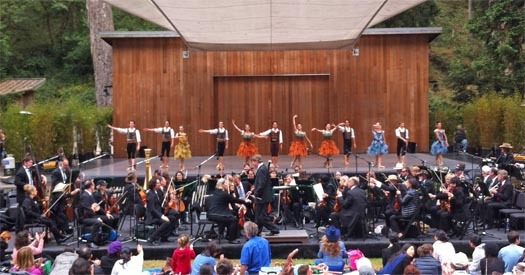 July 28 – The San Francisco Ballet lit up the stage today at Stern Grove. They performed in front of a full orchestra, and behind that was a packed lawn of mesmerized fans. What better a way to spend a Sunday afternoon then reclining back with a cold Anchor brew, while letting a group of expertly trained, highly energized dancers do all of the work for us? July 21 – Stern Grove tapped into their “belly-shakin'” roots, as Red Baraat and Fanfare Coicarlia brought a highly energetic blend of traditional Gypsy brass and global funk. The crowd could neither stay off their feet nor lower their arms, as they collectively gyrated to the sounds of Eastern Europe, India, and beyond. A refreshing Anchor Summer Beer or California Lager helped to quench the thirst, when people managed to find a break from all the dancing. July 14 – A mild day at Stern Grove brought a good crowd to see the Kronos Quartet, Geographer, and the Real Vocal String Quartet. All three bands brought a dynamic element of classical strings mixed with a modern sound. This eclectic approach attracted an eclectic crowd, ranging from the young to the old who, just like the music, could blend together and enjoy each other’s company, sharing a glass of wine, or an Anchor brew. Thank you to everyone who joined us in supporting the 2013 Stern Grove Festival. 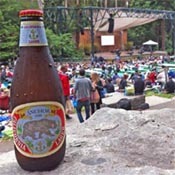 If you live in the Bay Area, or will be visiting next summer, we recommend taking in a classic San Francisco experience at Stern Grove during the 2014 season, and of course, enjoying an Anchor brew along with the show. More information is available on the Stern Grove Festival website. Nice coverage; really gives a feel for the festival. Hope to make it one year!